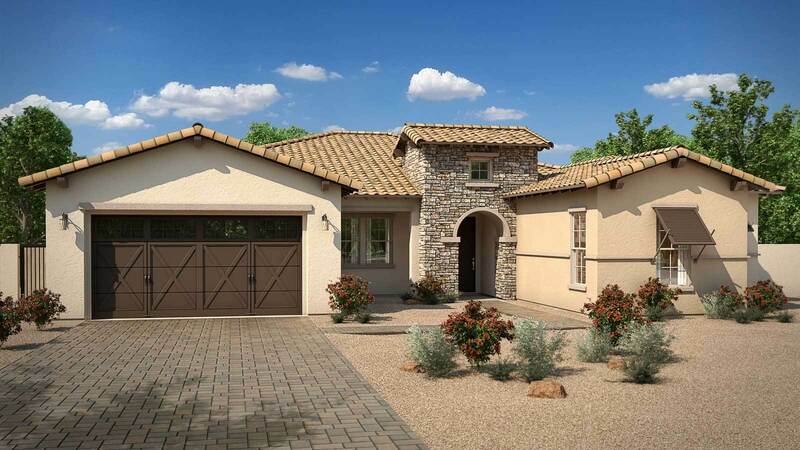 Hawthorn Manor only has two designer homes and two model homes remaining. Make your move to this gated Chandler community while there’s still time. Located on the southeast corner of Chandler Heights and Copper Roads, Hawthorn Manor features all single-story floor plans ranging from approximately 3,181 to 4,007 square feet. Each home is registered with goal of achieving LEED® Certification from the U.S. Green Building Council using the latest green building technology. A few of the beautiful included features at Hawthorn Manor are a gourmet kitchen with GE® stainless steel built-in double ovens, a 36-inch gas cooktop, staggered upper kitchen cabinets, granite slab kitchen countertops, a tankless water heater and so much more. All homes are Energy Star® certified and include Maracay’s LivingSmart® program for maximum performance and cost efficiency. The U.S. Green Building Council’s LEED® green building program is the preeminent program for the design, construction, maintenance and operations of high-performance green buildings. Learn more at usgbc.org/LEED. Don’t miss out on this opportunity to live in a beautiful Maracay home in a prime, Chandler location. View all move-in ready homes.